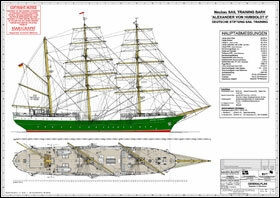 Sail training vessel for world-wide service, as sucessor of the well kown 'Alexander von Humboldt'. 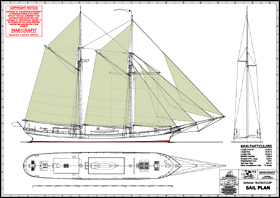 AVONTUUR is a 2-masted gaff schooner built in 1920. 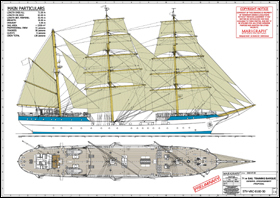 In 2014-2016 she was refitted to serve as sailing cargo ship and offer substainable transport. 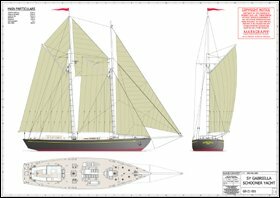 Traditional gaff schooner to use as private cruising yacht or exclusive charter vessel. 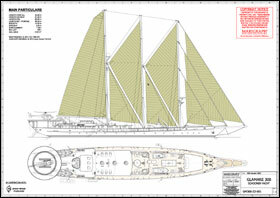 The Calliope was especially designed to serve as floating classroom on world-wide long-time voyages with students of all grades, combining sailing experience with lessons and research on board. 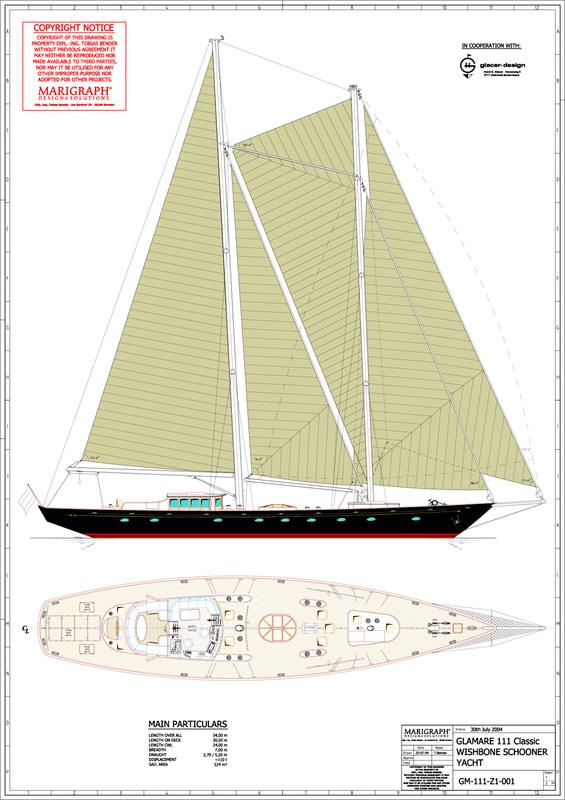 The bigger sister of the Glamare 300, incorporating a internal helicopter hangar. 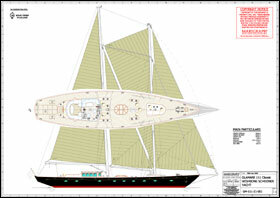 Design also attained a New Design Concept Award by the Boat International Magazine in 2004. 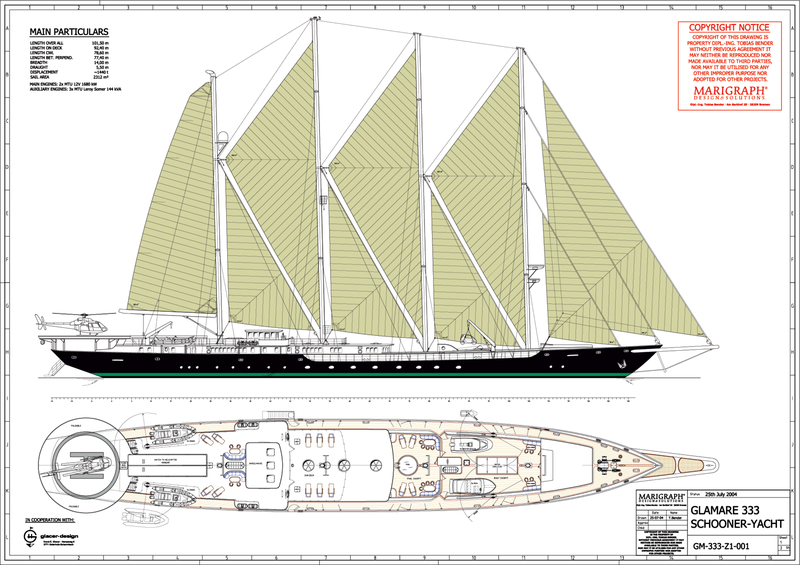 The preliminary design for this 300' schooner yacht is seeking for a symbiosis between the beauty of a classic yacht and state of the art technology. 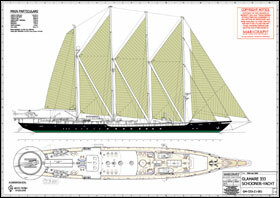 Charter yacht for worldwide expedition cruises with 16 guests. 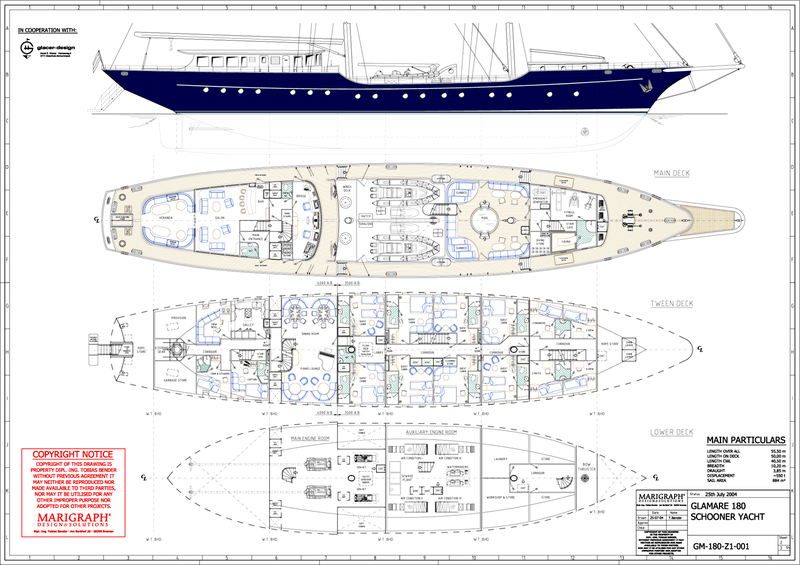 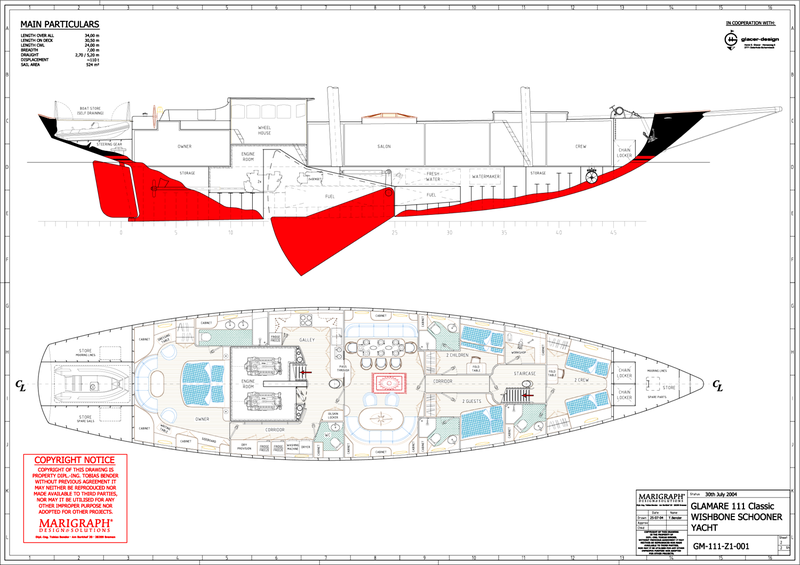 Design attained a New Design Concept Award by the Boat International Magazine in 2004. 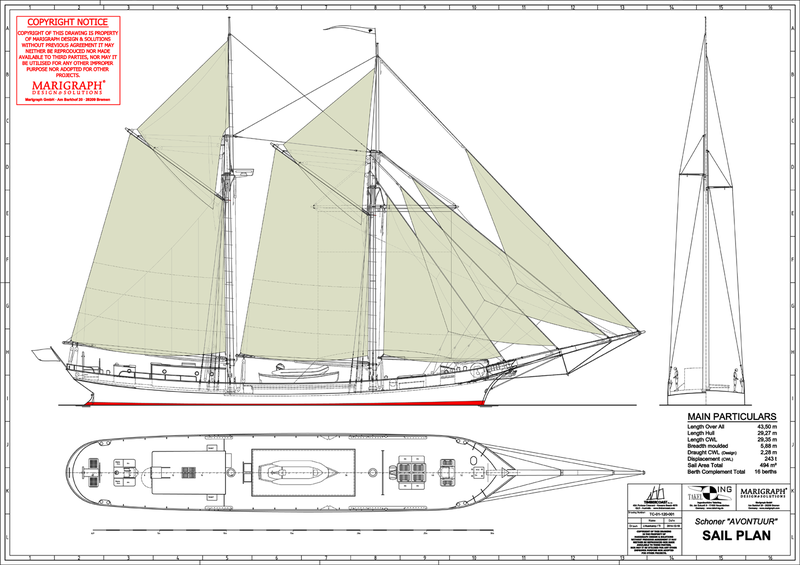 Exclusive schooner yacht with classic lines and wishbone rig. 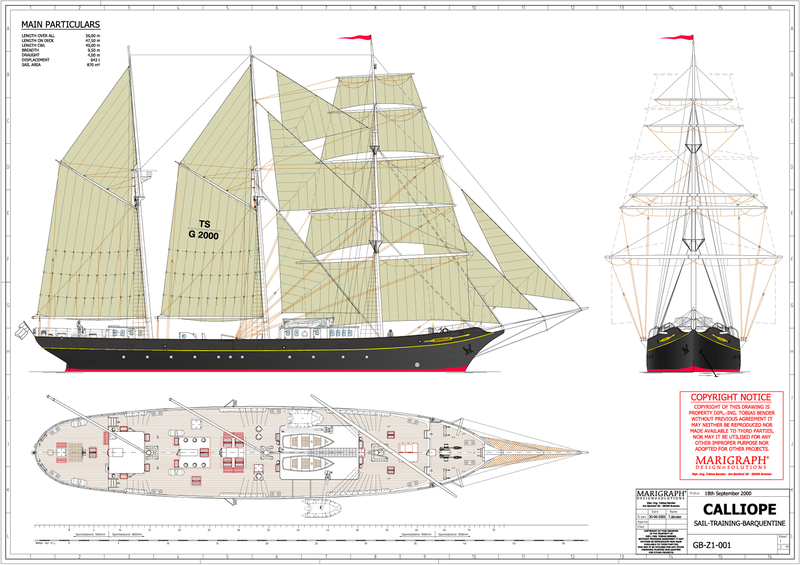 Concept design of a sail training vessel for 90 trainees plus permanent crew of 30. 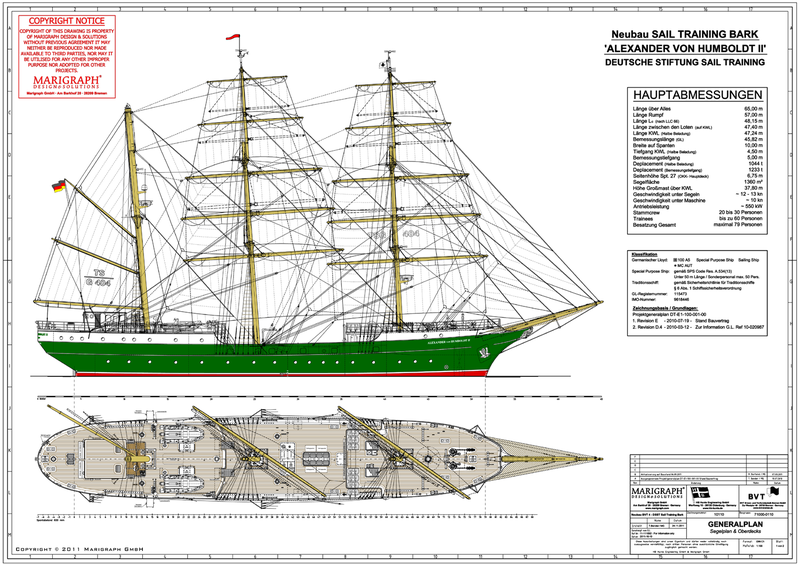 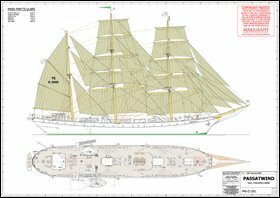 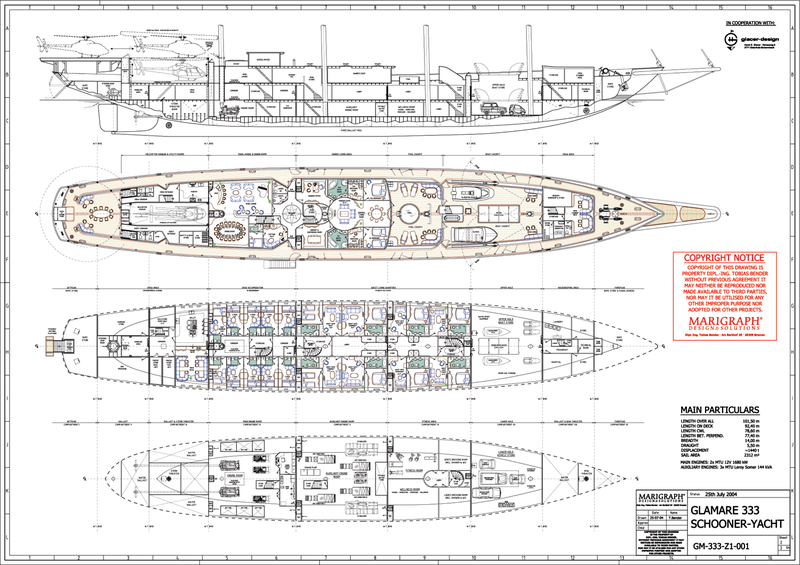 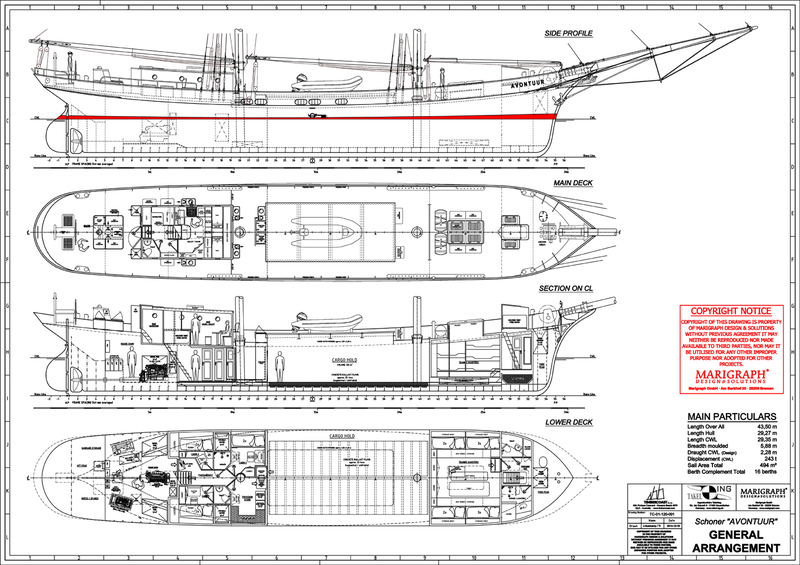 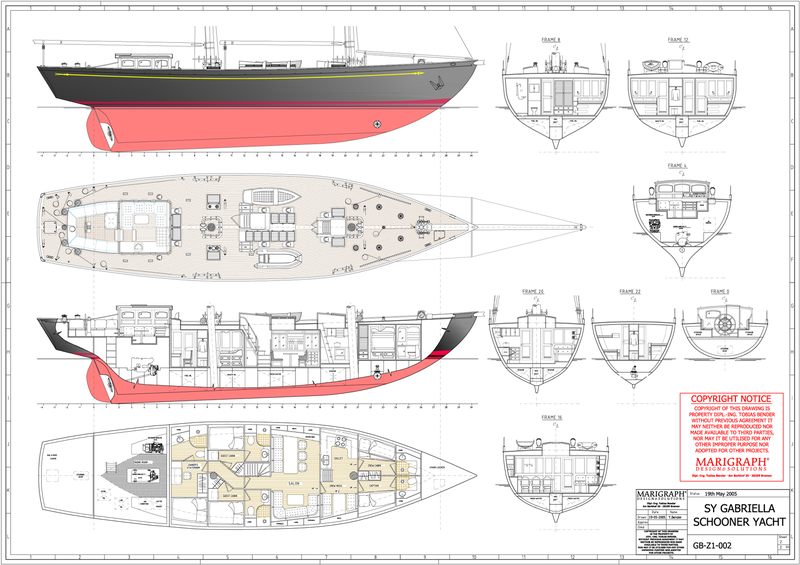 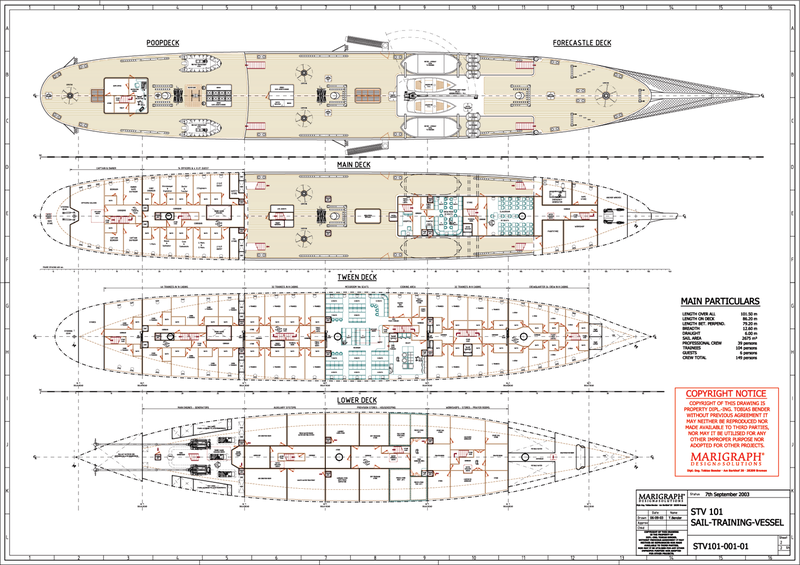 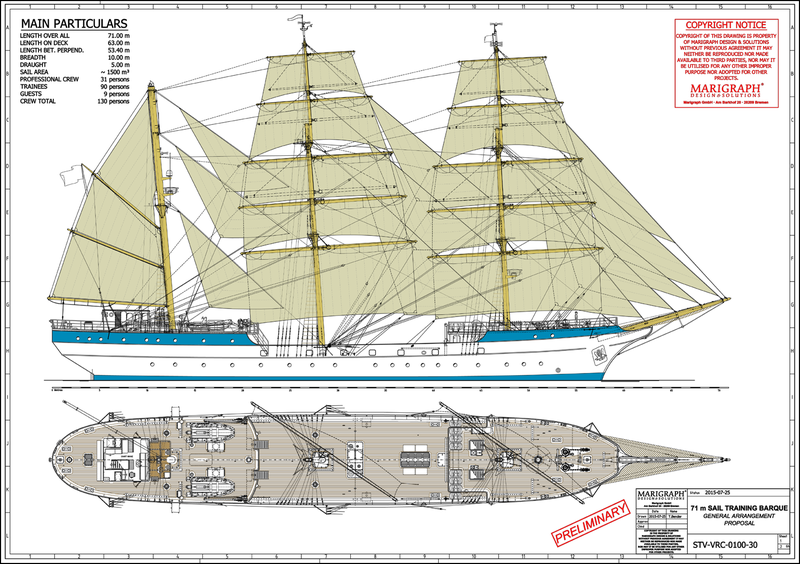 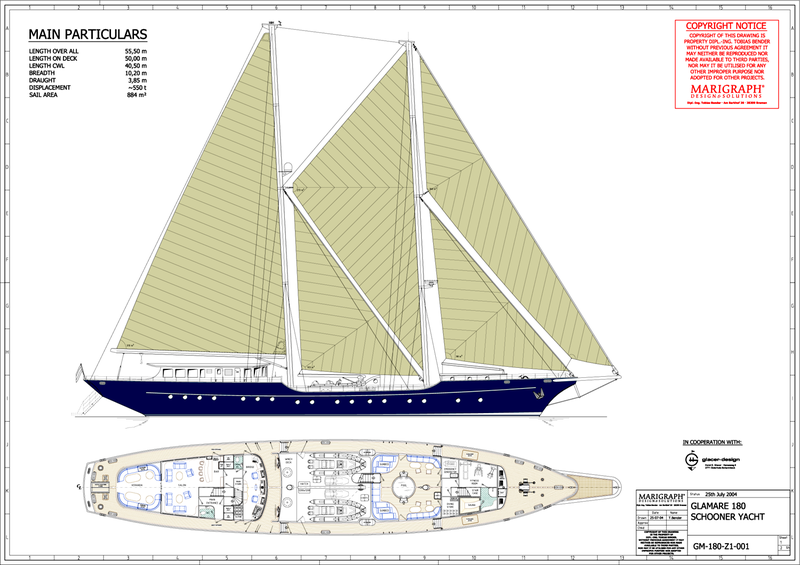 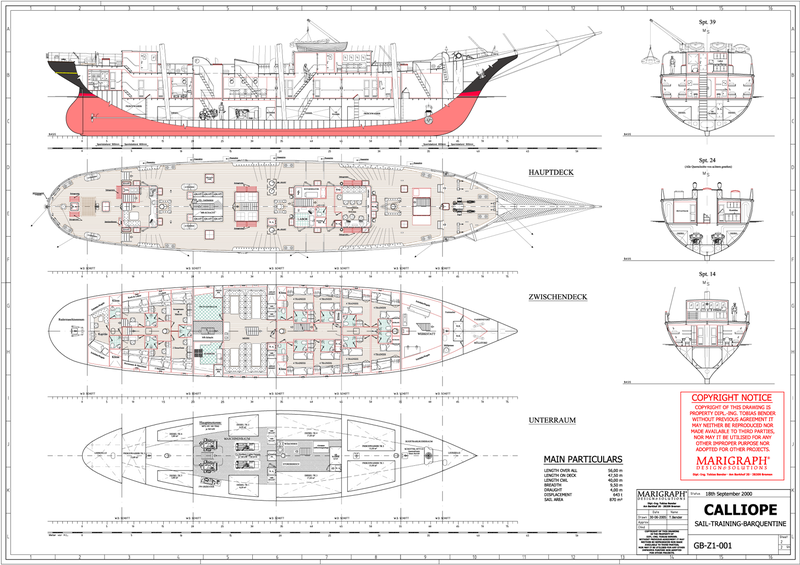 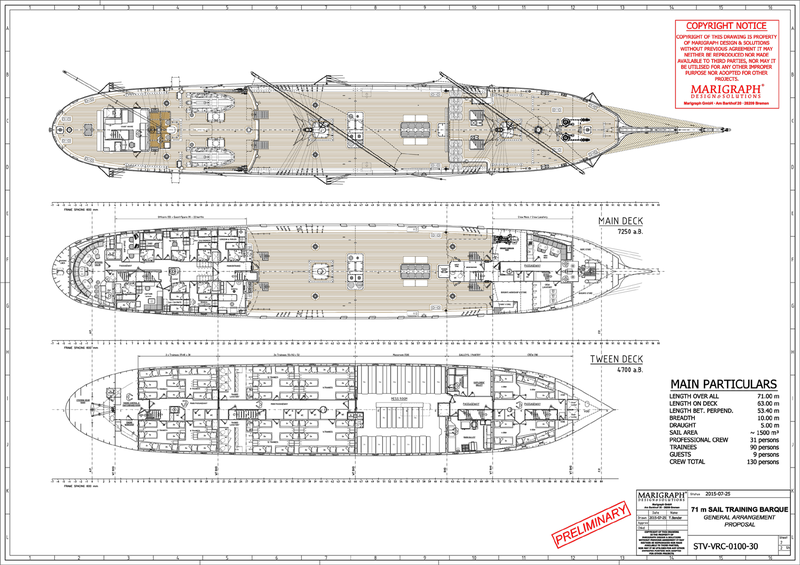 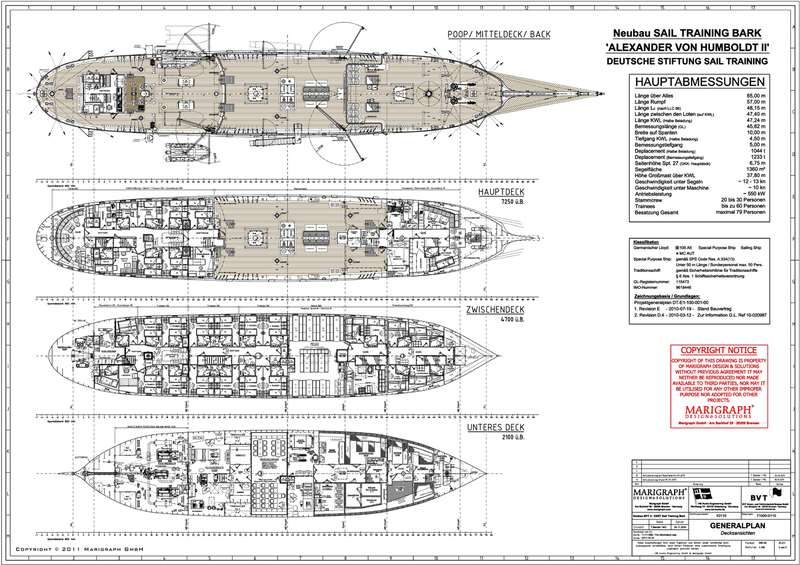 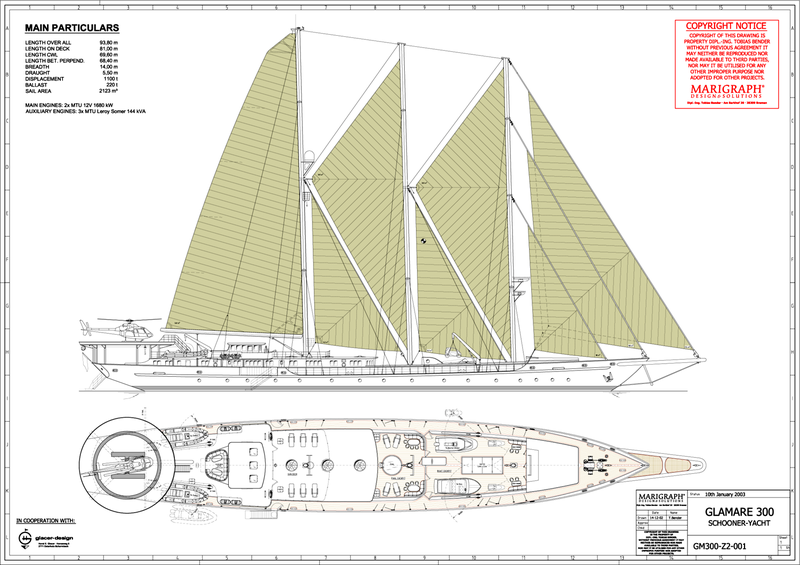 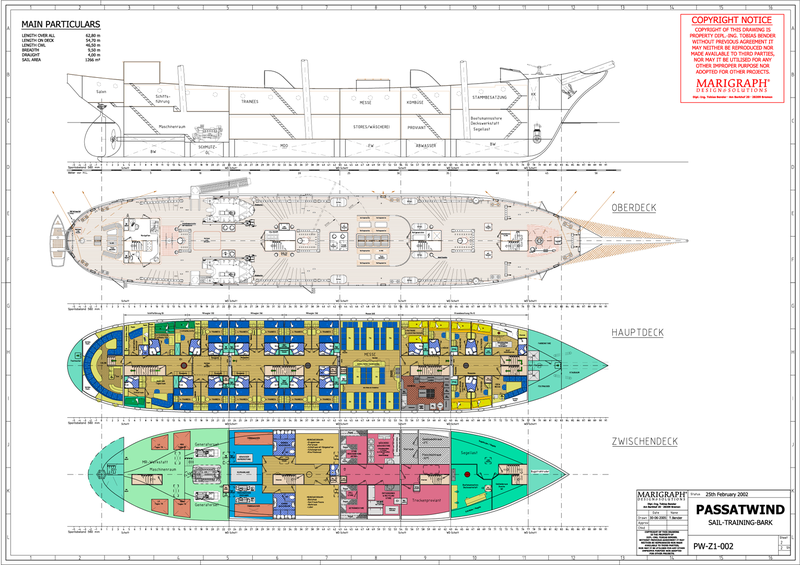 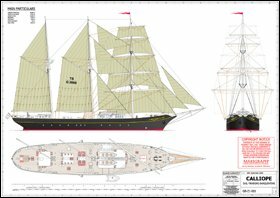 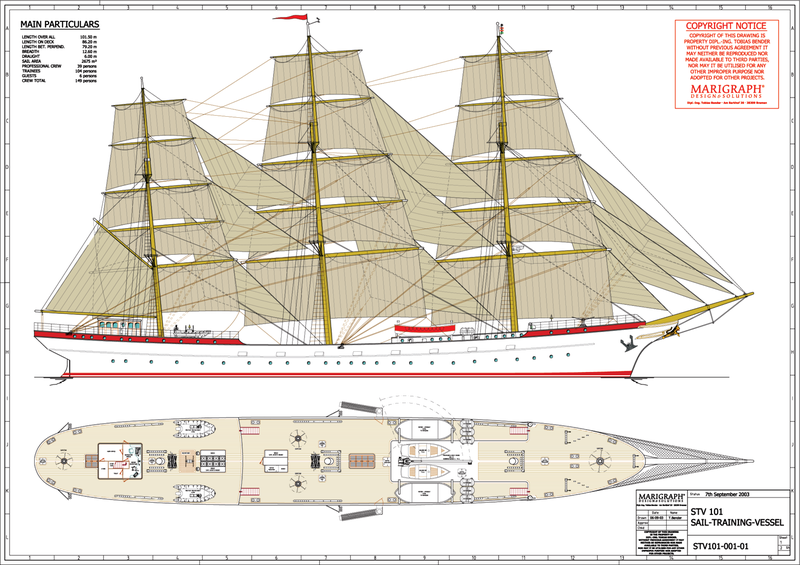 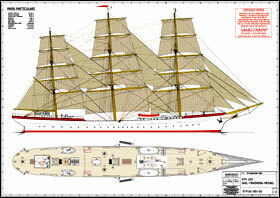 Design of a civil sail training vessel for 100 trainees plus permanent crew of 40. Sail training vessel for world-wide service. 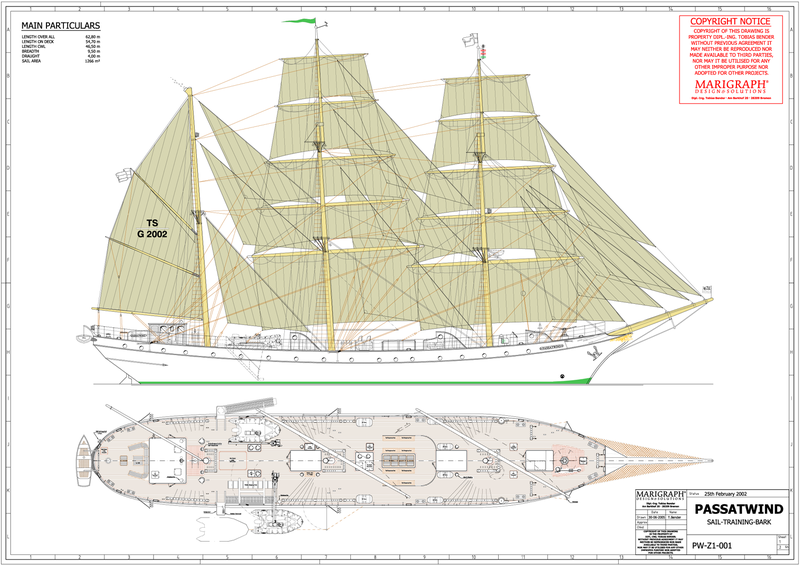 Lines plan in dependence on the Indonesian sail training ship Dewarutji, built 1953 in Hamburg.